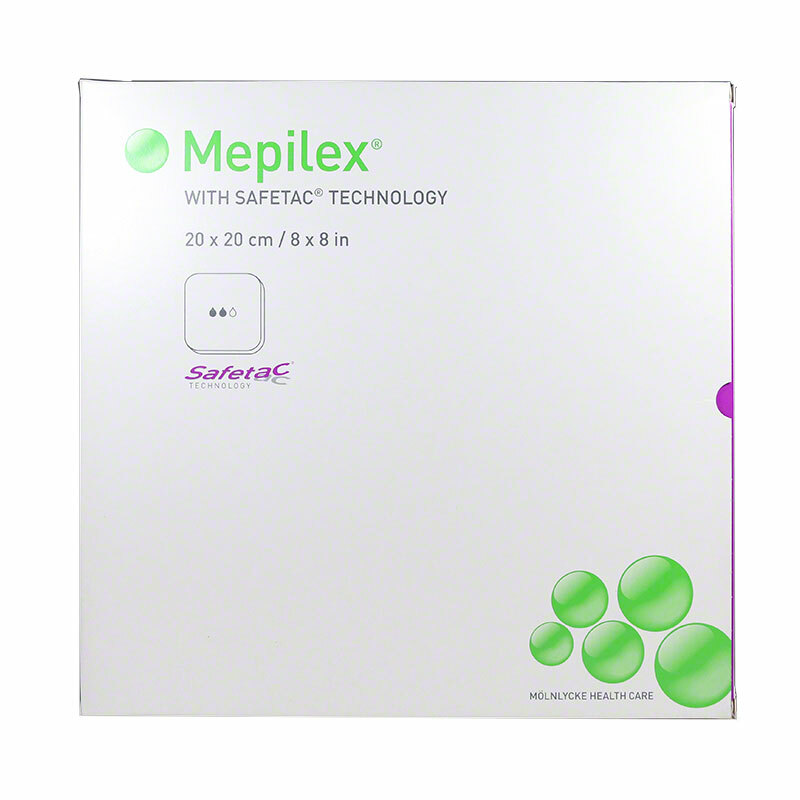 Molnlycke Mepilex (8" by 8", part number 294499) is a soft, conformable foam dressing that is suitable for a wide variety of wounds. It features Safetac, which minimizes the pain when changing the dressing. It also has effective exudate management and reduces the risk of maceration. Pack of 6 boxes (5 dressings per box). Molnlycke Mepilex (8" by 8", part number 294499) is a soft, conformable foam dressing that is suitable for a wide variety of wounds. It features Safetac, which minimizes the pain when changing the dressing. It also has effective exudate management and reduces the risk of maceration.